Recent Pfizer attempt to buy AstraZeneca brings back to news the pharmaceutical branch. This industrial sector has always a defensive perspective for investors, as healthcare is needed even in crisis times. American and European companies broadly dominate the ranking, but there is a beginning of some movement in emerging countries. A PwC report points out three challenges in the branch: rising customer expectations, poor scientific productivity and management culture sclerosis. These aspects are quite important, as the sector depends from innovation and high quality staff to develop its business. But there is also a deeper trend: emerging markets begin to have a higher demand, as their population has increased its purchasing power. But what is happening to five of the main pharmaceuticals in the markets? 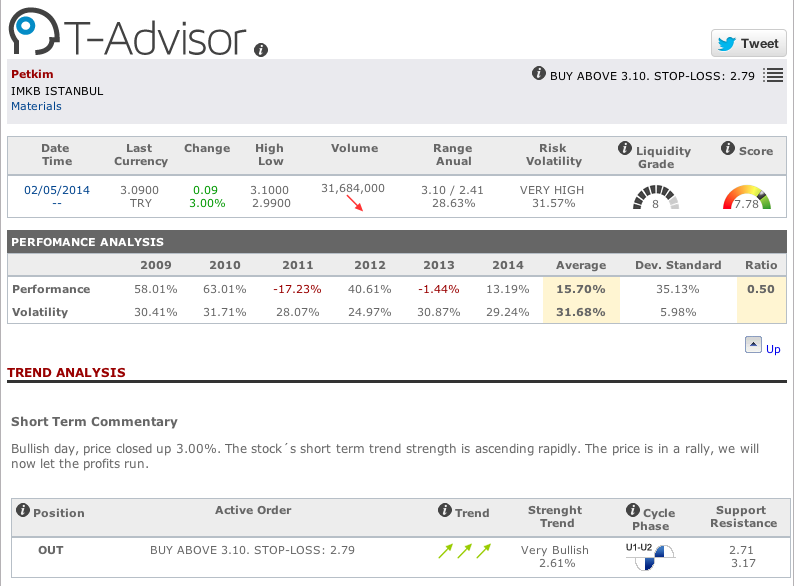 Let’s have a look in T-Advisor. Pfizer reduced its revenues 6% in 2013, till US$ 51,584 million. On the contrary, the net income increased 51%, till US$ 22,003 million (US$ 3.19 per share). Novartis improved its sales 2% in 2013, till US$ 57,920 million. The net income reduced a little 0.3%, till US$ 12,533 million (US$ 5.09 per share). Sanofi reduced its revenues 0.5% in 2013, till € 32,951 million. The net income worsened 17.5%, till € 6,687 million (€ 5.05 per share). Glaxo’s turnover in 2013 increased slightly 0.3%, till GBP 26,505 million. The net income improved 20.8%, till GBP 5,436 million (GBP 1.10 per share). Pfizer performance in 2014 suffers from its failed AstraZeneca merge. 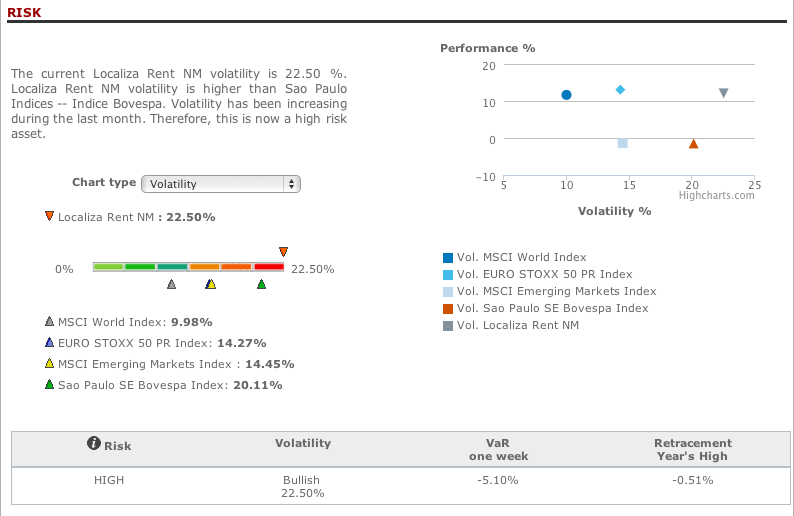 Sanofi, Glaxo and Bayer show a little development with very modest scores and performances. The better is the Swiss Novartis, which has increased powerfully its performance in this year and shows an interesting score and VaR. The recent purchase of Glaxo’s oncology business has been very welcomed in the markets. The sector will surely experience new market movements. This entry was posted in News and tagged Bayer, Glaxo, Novartis, Pfizer, Pharmaceuticals, Sanofi on May 29, 2014 by Oscar Garcia. 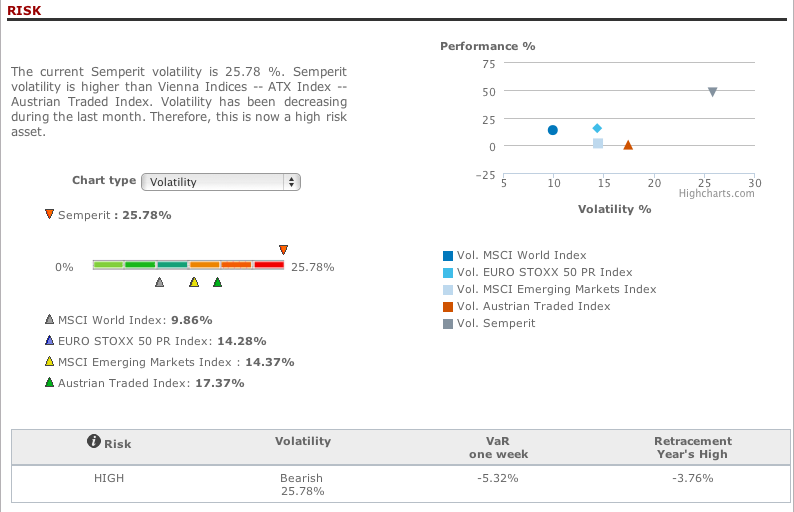 T-Advisor, through its tool Market Opportunities, has detected the company Semperit, listed in Vienna Exchange as an opportunity for investment. Semperit Holding is an Austrian group that develops, produces, and sells highly specialised rubber and plastic products for the medical and industrial sectors. It employs more than 10,500 people and has 22 manufacturing facilities worldwide. In 2013 the Group generated revenue of €906 million and a net income of €54.9 million. This entry was posted in Market Opportunities and tagged Investment, Opportunity, Semperit on May 26, 2014 by Oscar Garcia. 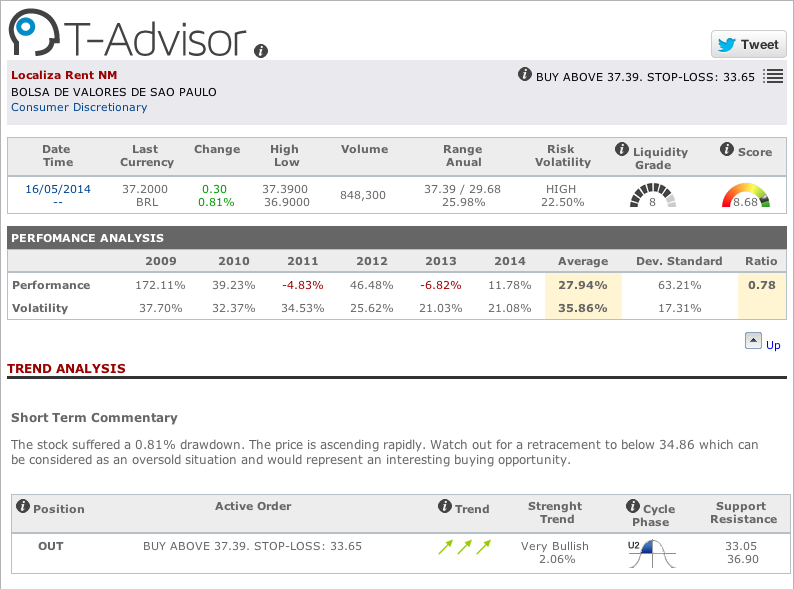 T-Advisor, through its tool Market Opportunities, has detected the company Localiza Rent, listed in Sao Paulo Exchange as an opportunity for investment. Localiza Rent NM is a car rental company from Belo Horizonte, in Brazil. It has three main branches: car rental, fleet rental and franchising. The net income in 2013 was R$384.3 million, a 59.5% more than in 2012. This entry was posted in Market Opportunities and tagged Investment, Localiza, Opportunity on May 19, 2014 by Oscar Garcia. Investors are always worried about how to manage their assets to obtain the best results to achieve their financial goals. 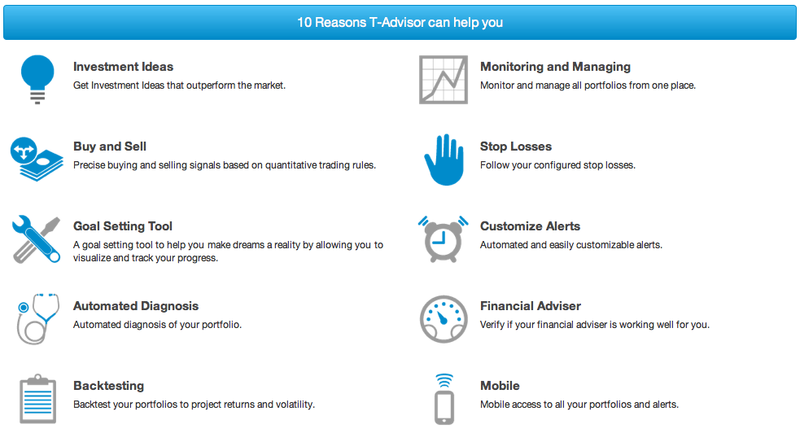 T-Advisor is the suite that fits to do it. We have been writing for six months about some of our tools. What are they? Smart benchmark: It mixes the different indexes benchmarks in the proportion you have in the portfolio and obtains a composite benchmark. Very useful to know if you are on track. Portfolio score: A personal reference that reports about the quality of our investments related to some measures, as risks, performance, diversification and trend. 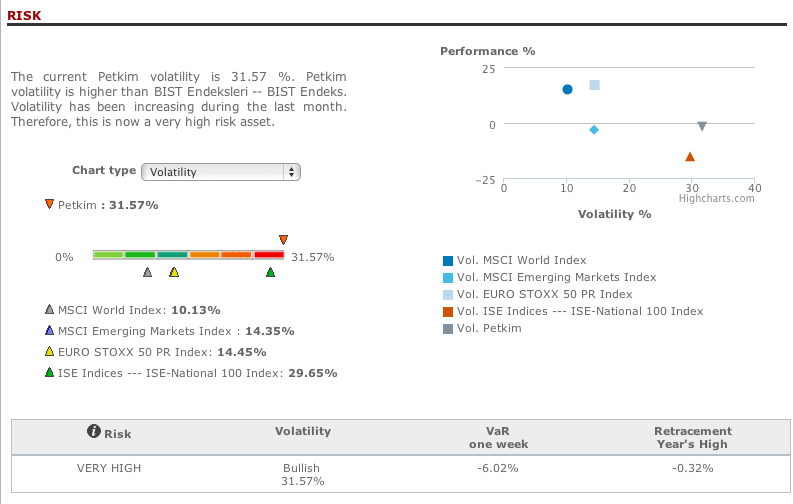 Value at risk and diversification benefit: an investor has to be always aware about the risk of losing. Value a risk defines the probability of losing money in a period and diversification benefits measures the risk difference between having or not a diversified portfolio. Optimizer: a tool to adjust the investment goals and discover the assets to change to get that aim. 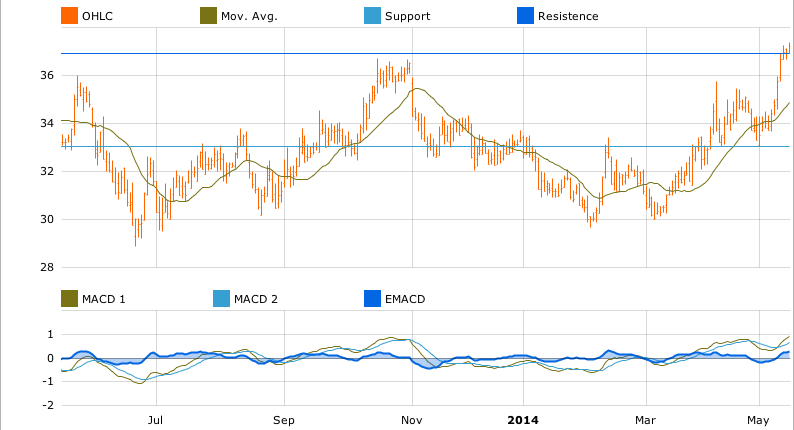 Alerts: our tool warns about different situations for our assets, as stop-loss or trend change. In T-Advisor, we think that information and figures are the main resources for investors, but this data without processing are not useful. T-Advisor organizes these resources to help the investor take decisions. Investment alternatives: T-Advisor has three ways to find new chances to improve investors’ results: the T-Report, the investment ideas tool and the investment opportunities warnings. T-Advisor also reports about the dates for the maximum benefit and the 5%-10%-15% targets, always with the reference of the system entry price. Model portfolios: our system has 9 different model portfolios depending the markets or the investor profile, which are reviewed and rebalanced every two months. 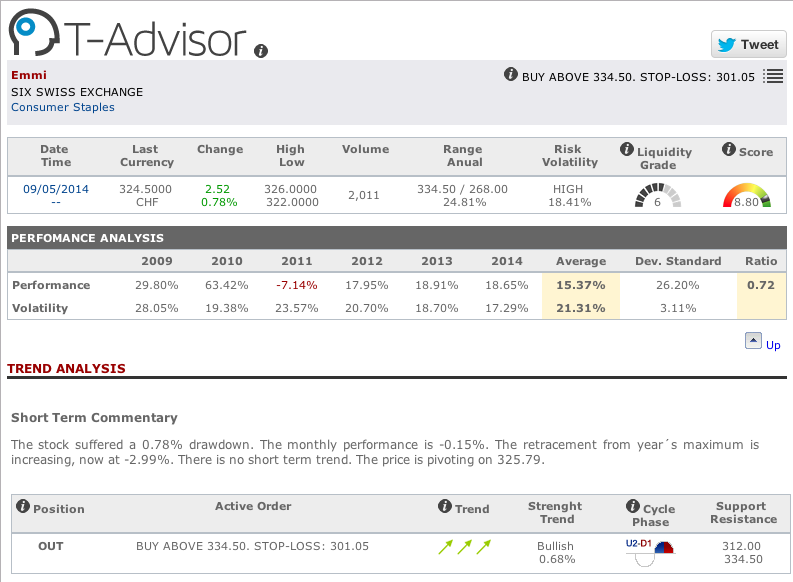 Finally, T-Advisor has also a special development for financial advisors and for professional uses. The main strength is the financial planning tool for their customers. Is this the end? Absolutely. 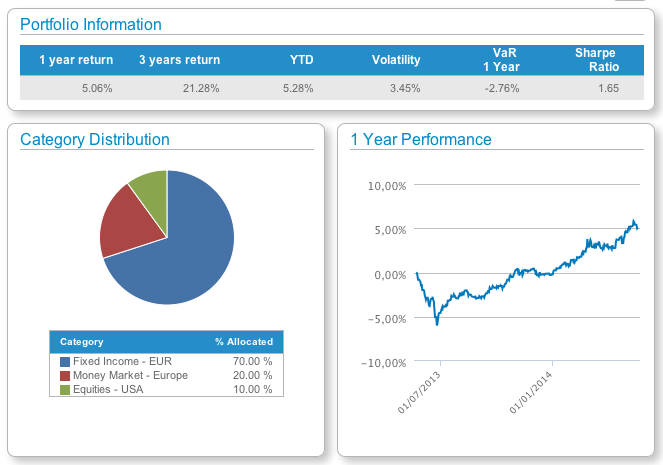 T-Advisor has still more tools and functionalities to discover their users. We will continue showing them. This entry was posted in Discover and tagged Data processing, Portfolio management, Suite, Tools on May 15, 2014 by Oscar Garcia. T-Advisor, through its tool Market Opportunities, has detected the company Emmi AG, listed in the Swiss Exchange as an opportunity for investment. Emmi AG is the largest Swiss company specialised in dairy products, as processed milk, yogurt and cheese. It has subsidiaries in 13 countries. Its net profit in 2013 reached CHF 104.6 million, a 1.5% less than the previous year. 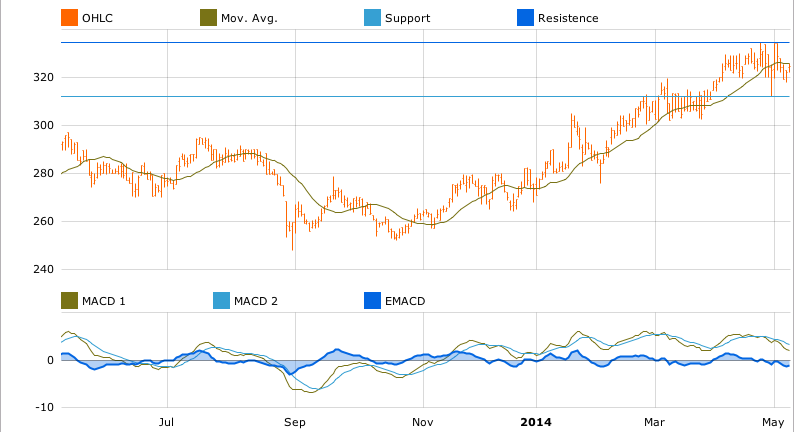 This entry was posted in Market Opportunities and tagged Emmi, Investment, Opportunity on May 13, 2014 by Oscar Garcia. What shares and funds were the best in the first four months of this year? 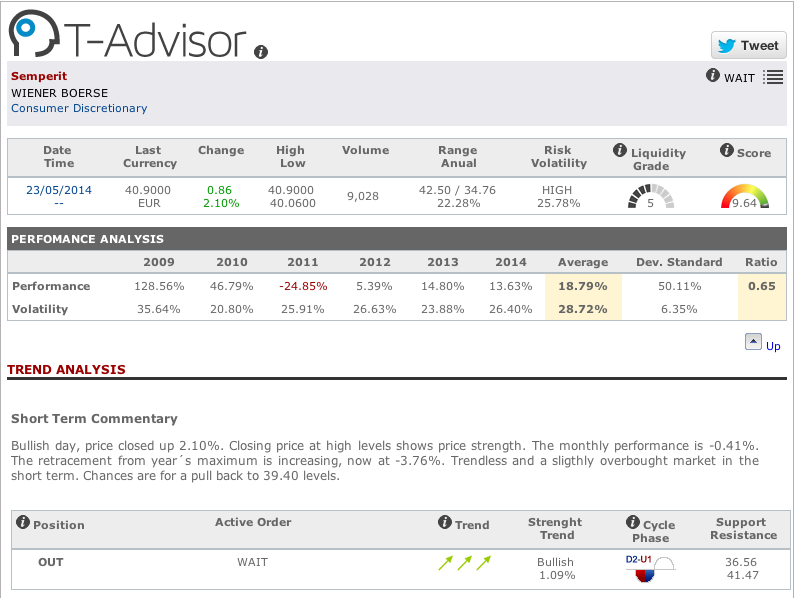 T-Advisor publishes its ranking taking into account the score. T-Advisor patented score provides an asset rating (bullish, neutral or bearish) based on key performance indicators and technical analysis. 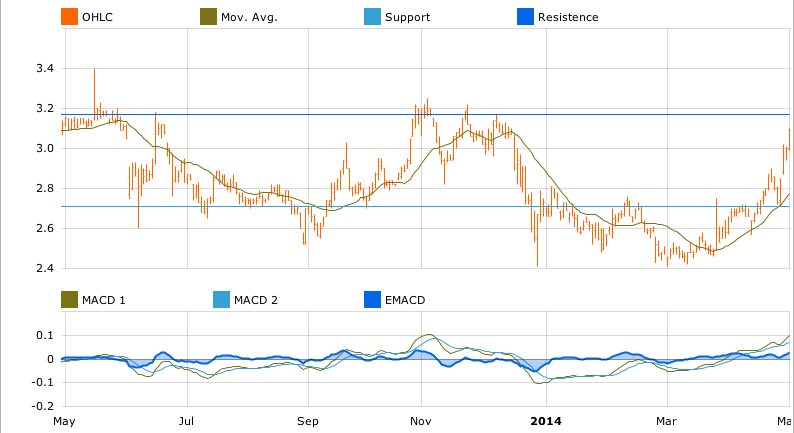 This entry was posted in News and tagged funds, ranking, shares on May 8, 2014 by Oscar Garcia. 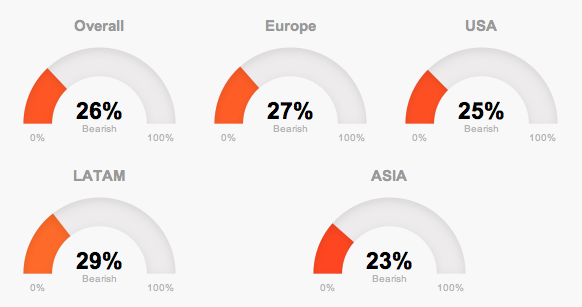 The main point to take into account in the market evolution in April has to do with the US. If we compare the figures with last month, the country trend changed from 40% to 25%. That was a drop! Such decrease is related to the economic outlook in the (still, but probably for short time) first world economy. If we take a look at the chart in the American market, there is a downward line at the beginning of the month. March employment data published in those days warned investors about the recovery, because they were far from expectations. These figures were confirmed by the GDP published at the end of April, the weakest in three years. Under these conditions, Fed Chairwoman Yellen and the FOMC were cautious in the statement on 30th. A rate increase has been delayed. On the other side of the Atlantic, European markets are still weak, partly because of the contradictory statements from ECB chairman and its members. Although Mr. Draghi has insisted in the readiness for non-conventional measures, Germans are reluctant, despite the low inflation very far from the 2% bar. 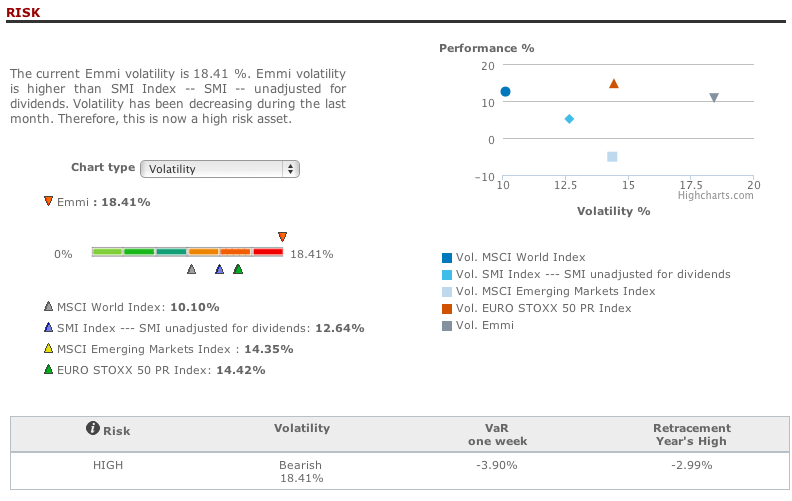 Emerging markets were also bearish. Asia suffered from the weakness of the American markets and also from some data from China. Last March, these exchanges benefit from the good expectations about the elections in Indonesia and India, but it must be waited for the results, as the process in India lasts a month and Indonesia publishes the results in some days, four weeks after the vote. Finally, the lowest point reached in February was the beginning of a recovery in LatAm markets. They registered the best position (29%) amongst all regions. 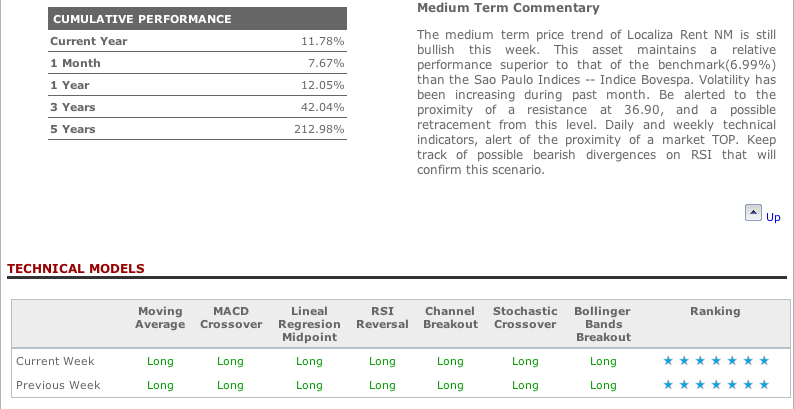 The low prices in this area are moving positively the markets and some of these countries have the best positions in the T-Advisor global trends, as Argentina or Mexico. 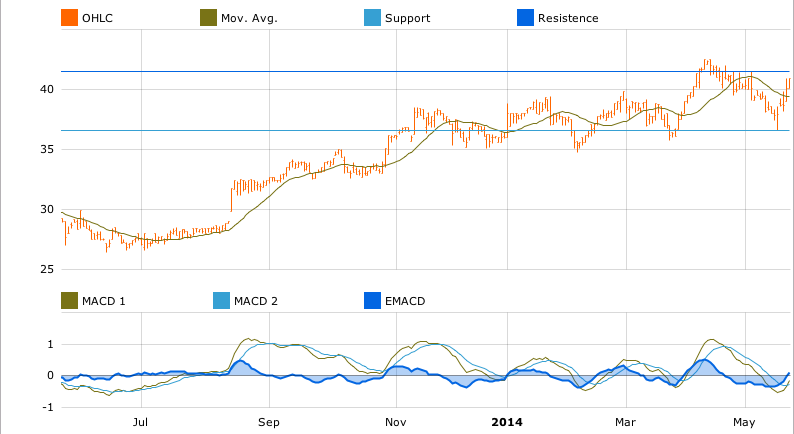 This entry was posted in Our Charts and tagged Employment, GDP, Outlook, Recovery on May 6, 2014 by Oscar Garcia. T-Advisor, through its tool Market Opportunities, has detected the company Petkim, listed in Istanbul as an opportunity for investment. Petkim is the main petrochemical industry in Turkey. It has a wide range of products derivated from petrol. Last year net profit doubled the figures compared to 2012. This entry was posted in Market Opportunities and tagged Investment, Opportunity, Petkim on May 5, 2014 by Oscar Garcia.